When The Vampire Diaries premiered last year on Thursday nights (taking over the Thursday 8:00 p.m. slot previously held by Smallville and pairing with Supernatural), a lot of people wondered how the show would fair on Friday nights. After all, Friday nights is where TV shows go to die (contrast this with the popular TGIF Friday-night line-ups from my youth). This year, many Supernatural fans were dismayed to learn that the show would be moving to Friday nights as well, pairing up with Smallville again. Did this signal The CW’s desire to get rid of Supernatural by moving it to one of the least popular nights in TV land? Well, Supernatural fans are nothing if not loyal, and the show is actually doing very well on Friday nights. So well in fact that, when paired with Smallville’s 200th episode this past Friday on October 18, the CW network actually beat Fox to become the fourth place network for the night (instead of placing fifth as it normally does). It also won the 8:00 p.m. hour in the 8-49 demographic with Smallville. Smallville‘s 200th episode pulled in 3.18 million viewers (meaning The CW finished in third place at 8:00 p.m.), and pulled in more viewers than a Fox House repeat and the NBC premiere of School Pride. The terrific lead-in of Smallville meant that Supernatural ended up with 2.81 million viewers (600,000 more viewers than last week) and won the fourth place spot for the hour, beating out NBC. Supernatural‘s ratings on Friday nights has remained consistently good for The CW since its sixth season premiere at the end of September. This is the final season for Smallville, but could this mean that Supernatural could get a seventh season next year? The two leads (Jensen Ackles and Jared Padalecki) recently revealed that they extended their contracts for a seventh year, so it’s certainly a possibility. 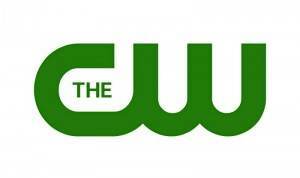 We’ll have to see if this winning streak for The CW on Friday nights continues. We do know WWE Smackdown got moved to Syfy since Smallville and Supernatural were said to have better rating and boy were they right. Sorry WWE.